You are visiting the "Sheep" page. Links to the right will take you to sub-pages within the "Richard Smith" section. The links with asterisks in front will return you to either the parent or "Home" pages. Click on any thumbnail size image below to enlarge it, then click on your browser's back button to return to this page. 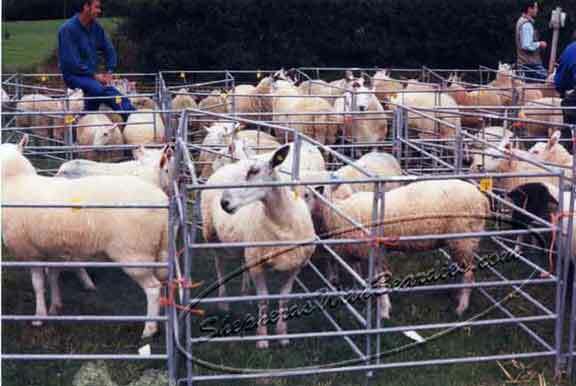 Richard's Bluefaced Leicester ewes at Llangurig show 2002. Since this photo was taken, the sheep classes have been cancelled due to the movement restrictions placed on livestock following the foot and mouth outbreak a few years ago. The annual show continues, but it is in a much smaller form. 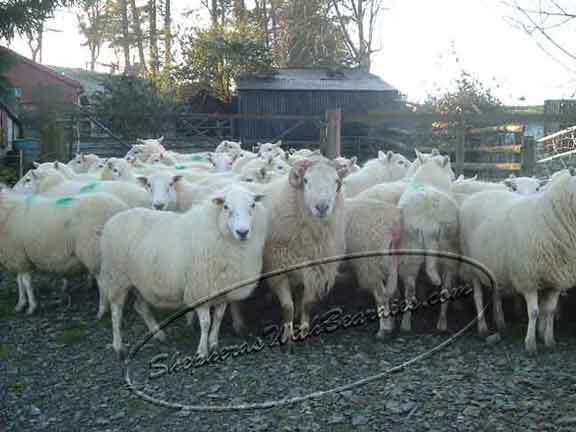 A couple of Richard's Bluefaced Leicester ewes ready to come in to a warm dry pen for the night. 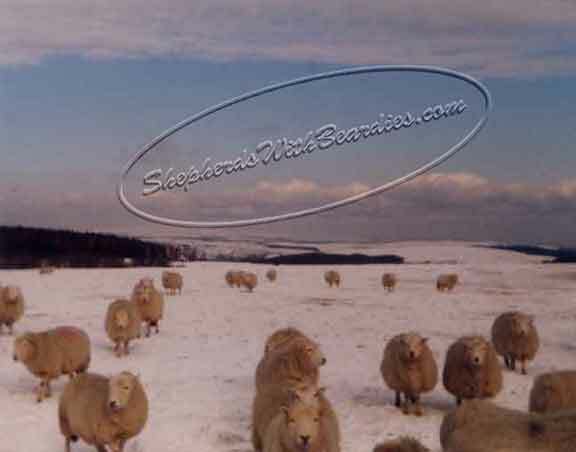 The picture shows the scenery typical of mid-Wales in winter. 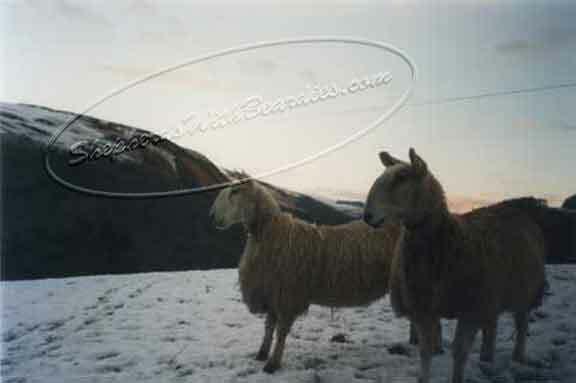 Welsh ewes that Richard used to look after on a Welsh hill farm called Llechridau (pronounced cleck-rid-die). 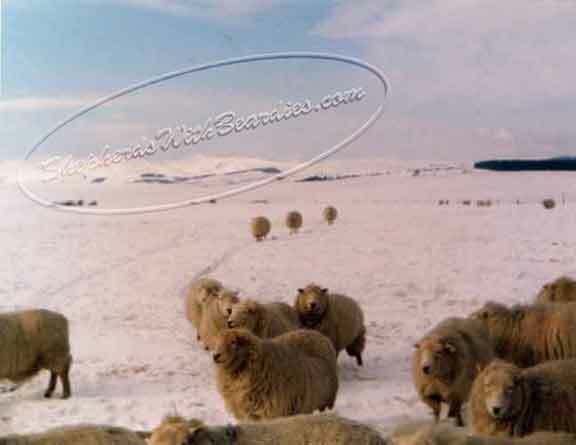 During times of heavy snow, the ewes would have supplemental feed of hay. 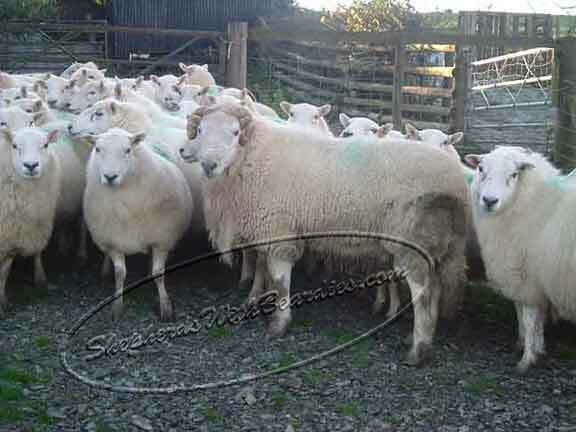 Welsh ewes. It presents the remoteness of some Welsh farms. 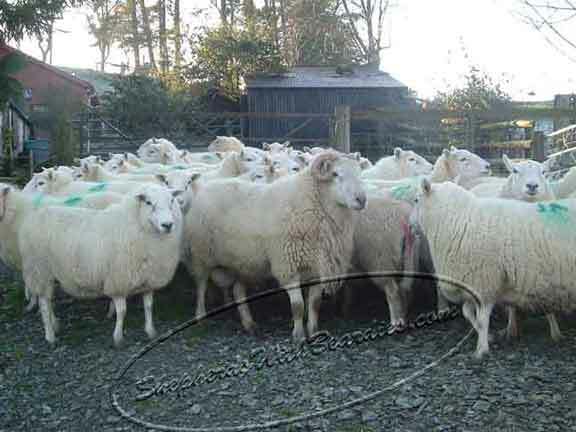 Welsh ewes and rams are the native breed of Wales. 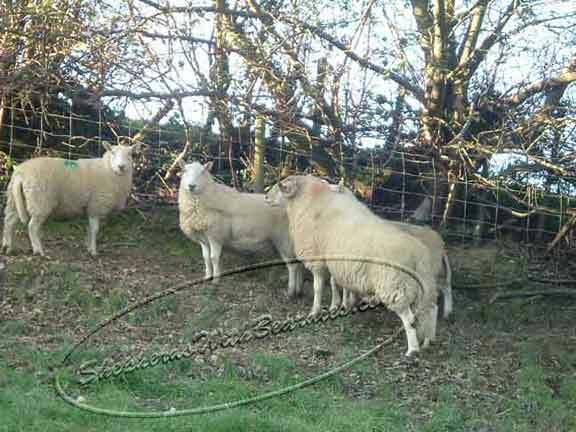 Welsh ewes and ram. 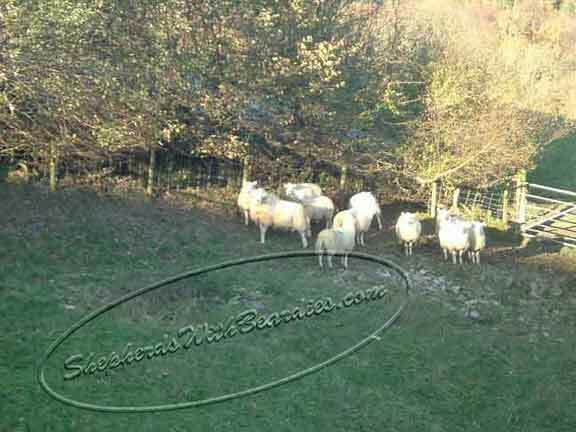 The ram has been in with the ewes since the first week of November, so that the ewes will be lambing from the first week of April.